Revel in me...: Bird's eye view. Thought it would be interesting to post some of them up! Since most likely you will never ever see the original outfits anymore as I don't really repeat outfits -_- (as in I always try to style my items differently when I re-wear them!). Channeling Jenna Lyons (Creative Director of J.Crew, and one of my personal style icons) with printed pants and geeky classes. Jenna Lyons is my inspiration not only in style, but in how she revolutionize the J.Crew brand. Click here for her Forbes profile. 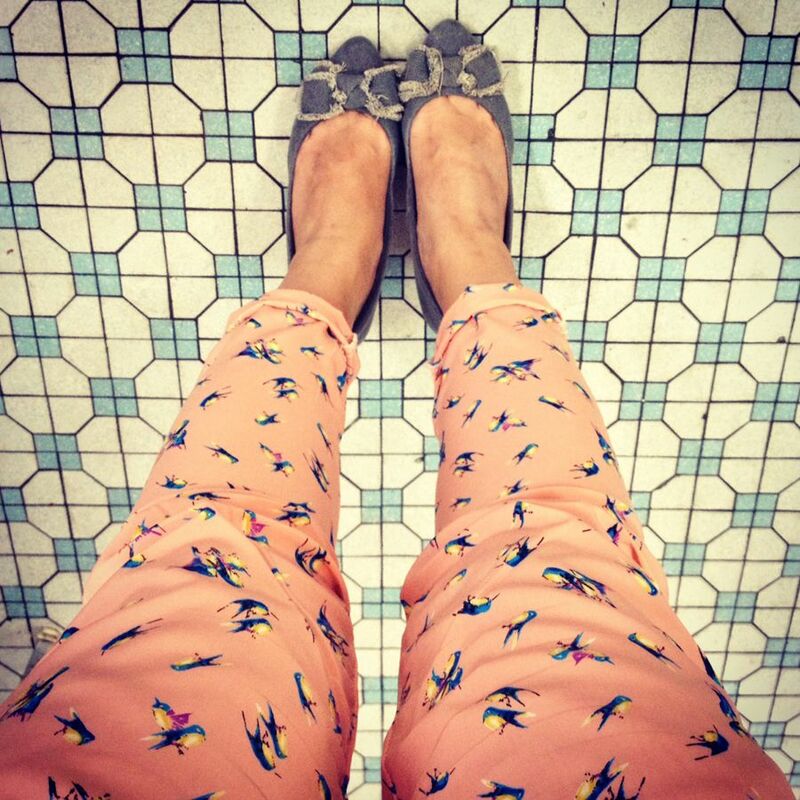 Bird print pants from AZORIAS (sold out) and Zara frayed bow denim pumps. Wore this to have vegetarian dinner with the boyfriend and his mom. Is it weird that I remember occasions and events by what I wear? Haha. H&M printed pants from Hong Kong (bought quite a few pairs of printed pants there!) 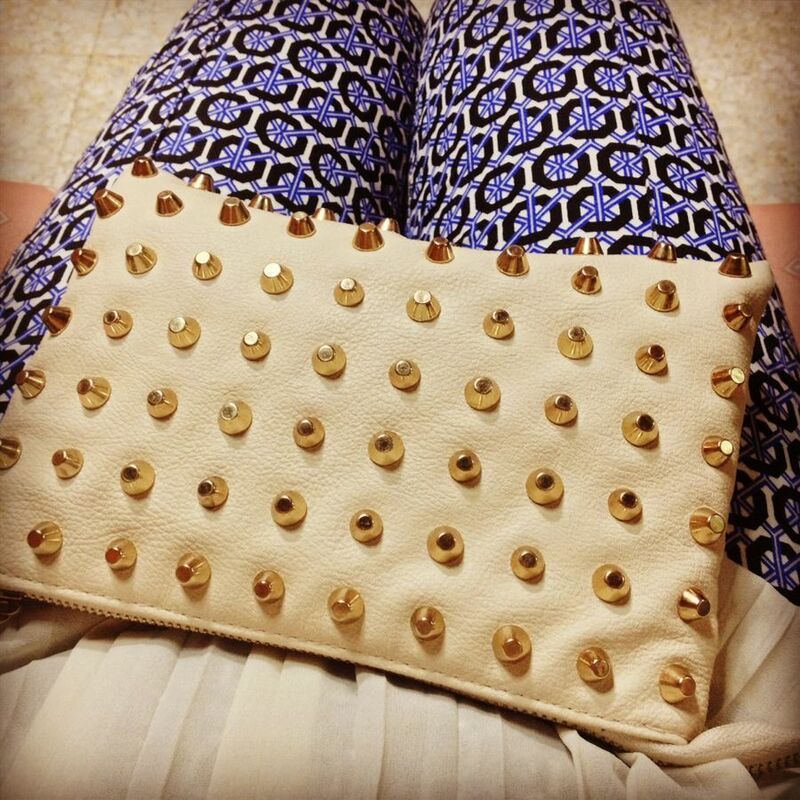 and Zara studded clutch from Teeny. Chose this outfit 'cause 1) I had quite a few errands to run in the day, 2) I needed to go to the tax department-- and I have heard that government offices have dress codes?? Apparently one of my friends were stopped from entering the building as her skirt was "too short". Can anyone confirm this? In any case, I didn't want to take the risk, so leggings it was. 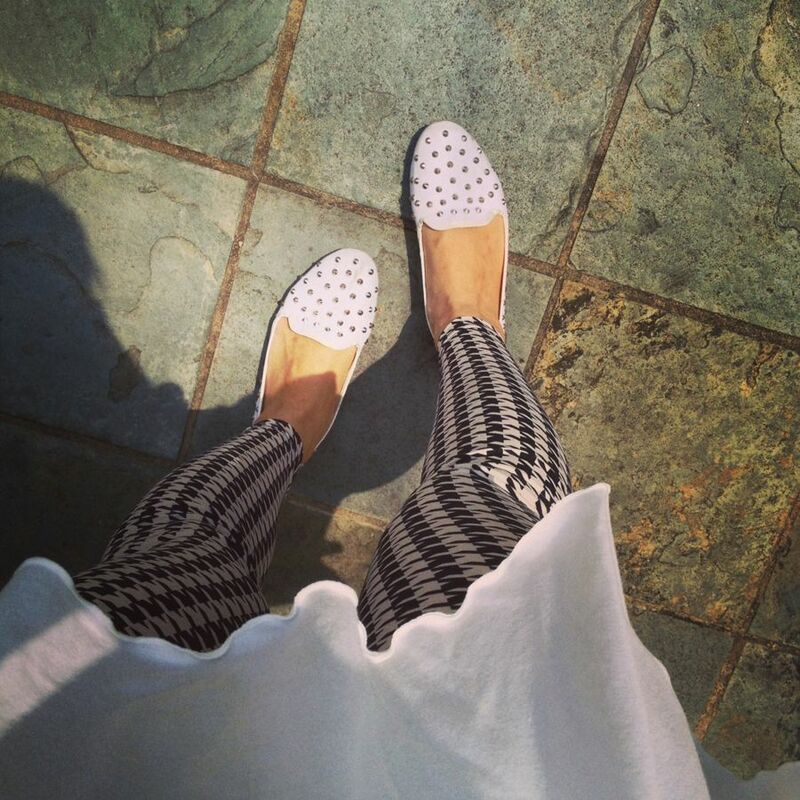 Bias hem tee (sold out) and my new favorite houndstooth leggings from AZORIAS. 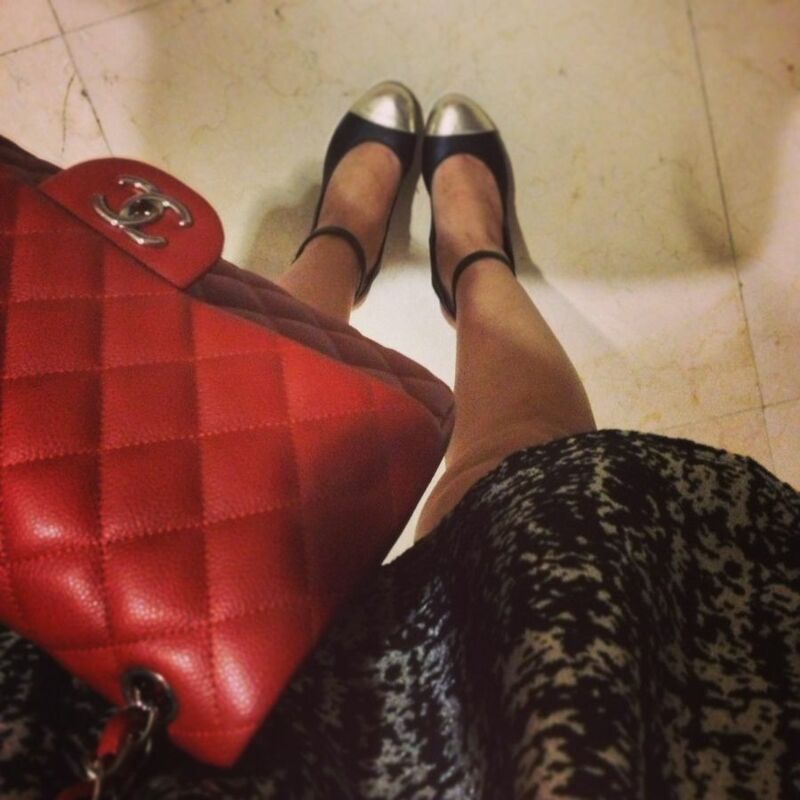 If you guys remember, I wore this to my day trip to Nilai University (*click*). Cargo skinnys from ZARA (in Hong Kong, because ZARA stuff is much cheaper there!) matched with AZORIAS lace peplum top. 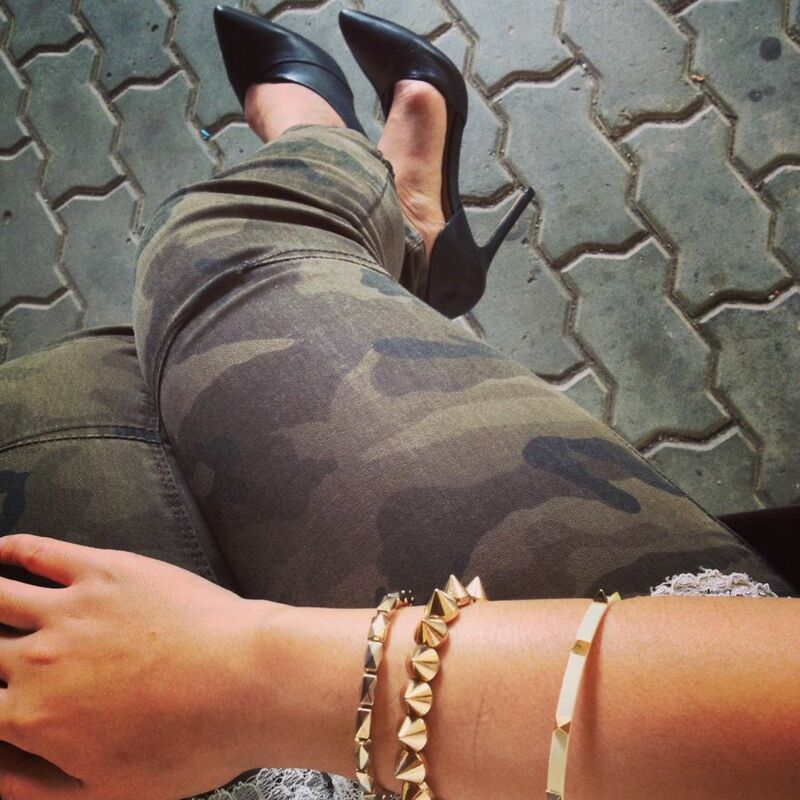 Cutout pumps are also from ZARA, and bracelets are all from Korea. Silver tweed print dress coming soon on AZORIAS and cap-toe pumps that I really should wear more often 'cause they are so cute. Dressed-down day (usually it means I am wearing flats haha). 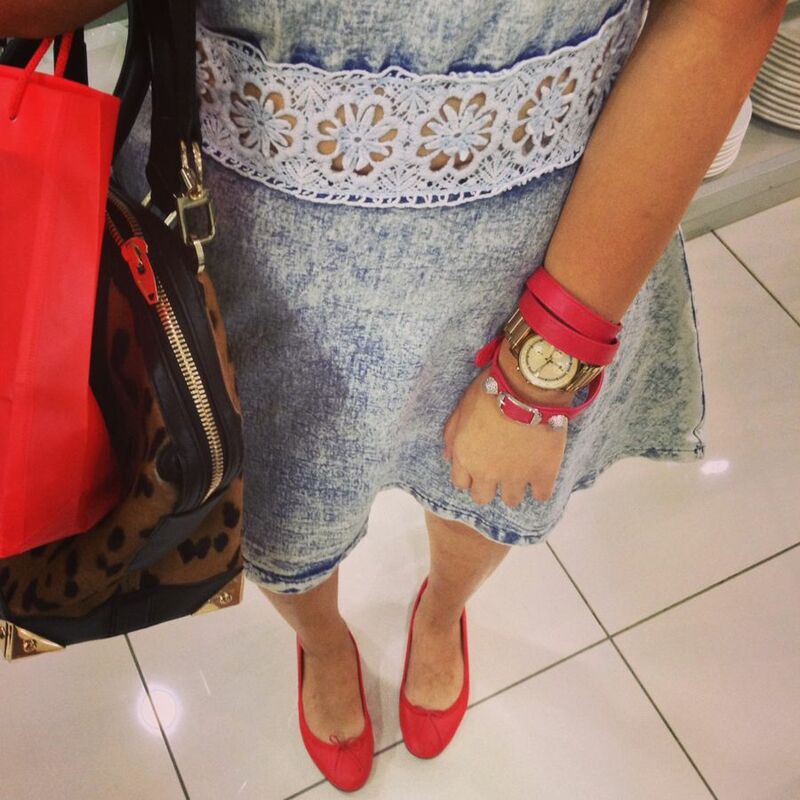 Denim cutout dress and red ballet flats (with a slight heel 'cause god knows I need all the help in the height department) from Korea, Balenciaga wrap bracelet (Teeny's), Alexander Wang ponyhair bag. This was just taken yesterday! Had the most sinful Croque Madame too, by the way. Wearing Topshop buttoned-down midi dress and Jeffrey Campbell rattan platforms. Loving my white nails!! Follow me on Instagram (@revelinme). Hahhaha bird's eye view gives me headache! yishyene: I AM GOOD!! And I know you are, with all your traveling! :D And you do NOT dress like a tramp please! Pffttt! !